Congrats to MG for taking the win in 4x4 sc. The old dog still has some fight left in him. Big thanks to Delta Rc for a great facility...I know how much work these guys put into it....and the results show...Saturday is the one day a week I look forward to because Delta makes it feel like a vacation...no worries...no bullcrap to worry about...nothing but fun...shopping at the shop is easy and comfortable...and the tracks are professionally built for the best experience possible...it was really nice to see some of the racers who I see to be pros come out and dice it up...its actually amazing to see them try another track other than the same track all the time...this series is gonna be hard to win in all classes....see everyone next week or next race...p.s. David Castro is being called out...that's real talk "D"! I took some photos last night. I'll try to post them in the next day or two. Last night was my first time out to Antioch, since Hawk's. Very nice facility. My son and I are looking forward to running some offroad out here, after the Reedy. Awesome night last night! Great track and great competition. What a great vibe and it was nice to see everyone out there getting along. Lot's of great racing in all classes. Good track with tons of traction and Hopper did great keeping the show moving and got us out of there in good time. Well over 100 entries! I personally had one of my best nights. Sagisi and I had a side bet that whom ever out qualified the other in 17.5 would corner for the other. I have to say that I WON THIS BET! Yeahhhhhhhh! Lol! Great to race with all my friends. Thanks to Craig and Chris and Hopper for making this one of the best places to race. Congrats to all the winners. Shout out to Nathan Lavery on his 17.5 and Short Bus wins. Go P1Hobbies.com! Great times out at Delta last night! Quick program, great announcing, superb track maintenance for everyone on a very nice flowing track too, full scale race cars hauling a$$ in the back ground, good food and a chill atmosphere. Can't ask for much more than that on a Sat night at the races. Thanks to ALL that make it happen there, and I can't wait to get back! I wanted to thank everyone for all the kind words and assistance last night. I did better than my car! Lol. It was great to see everyone. It was hard to get out to race , I was exhausted but so glad I went. The track I awesome as usual. The program top notch. It was awesome to see so many from all over. Thanks Delta for putting on a awesome race program. Yesterday was my first outing to Delta and definitely not my last . Track layout is one of the best I have ran on and can you say BLUE GROOVE!? SO MUCH FUN! Great atmosphere, Clean/stocked onsite hobbyshop, great announcing and fast program(Thanks Hopper for running the program and Craig for maintaining the track after every run). And thanks to the sweet granny who was bbq us burgers and hot dogs. With over a 100 entries I was done racing by 11am. Oh it's officially gonna be on now! Nice, Steve you not running 2wd anymore? Ill be there with at least half of the Schumacher team! 4wd mod buggy for us! Big J - Bring your stadium. We are bringing ours. Chris is bringing his with bald tires - lol! I feel an epic weekend coming on! 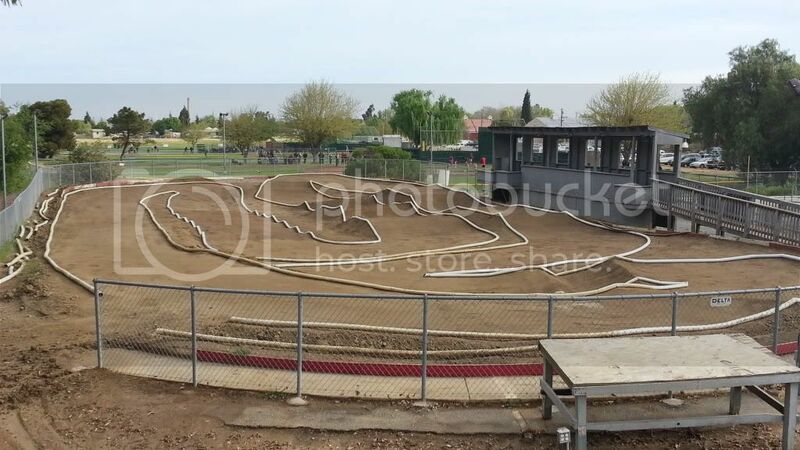 We are racing 1/8 offroad sat @10am and 1/10 @6pm We are supposed to be done before 11pm . With everyone's help we can get done and get you home at a decent time. Oval racing sunday @noon. Remember guys that the trinity D3.5 17.5.motors are not roar legal to run in 17.5 and will not be allowed. We are using roar motor and ESC rules for the 17.5 class. WOW Delta has it going on! Hopper doesnt let the ball drop.